The Turkish book market offers great opportunities for foreign publishers, but you have to go into it with open eyes. Here are a few of the nuances and pitfalls to avoid. Along with Brazil and Poland, Turkey is considered one of the “golden boy” developing publishing markets in the world. But what is the objective reality? What are the developmental dynamics? Turkey has a population over 80 million people, and there are over 1,700 publishers in the market, approximately 6,000 bookshops and nearly 150 distributors. More than 500 million copies were printed last year, a 4% increase over 2013. Taken in aggregate, this demonstrated that Turkey is, without a doubt, a substantial marketplace. While there are indeed thousands of bookstores across the country, it is increasingly difficult to open a new one. Many old bookshops have closed as a result of rising rents, and many of the biggest bookshops have moved into shopping malls. Online booksellers, which offer high discounts, have also cut into the profits of the bookshops. Bookstores were able to compete when online booksellers took a week to deliver a book, but now it is only two or three days (though we still have no Amazon in Turkey). Accordingly, bookshops — which are like everywhere, forced to focus increasingly on bestsellers — are dedicating more and more shelf space to stationary and sidelines. In addition, bookstores tend not to have clear categories, with many genres jumbled together — literary with romance, etc. — and they have missed opportunities to made sufficient distinctions for popular, burgeoning categories, such as “new adult.” Books may initially be published in paperback, but only upon becoming a bestseller, are published in hardcover or as a special edition. Turkey is one of seven key countries featured at The Markets: Global Publishing Summit at the Frankfurt Book Fair on October 13, 2015. In Turkey, the online bookstore kitapyurdu.com is perhaps most dominant, with an estimated 6-10% of marketshare of retail sales. It developed very quickly and offers a fast and professional service and offers daily discounts. Distribution defines any book market and in Turkey, nearly every distributor has its own publisher — and the biggest have their own chains of bookstores. There has been a proliferation in smaller publishers, but one can count a baker’s dozen as major names. Surprisingly, with a rise in interest in local authors, Canada’s Wattpad has become a popular source for publishers to mine for new writers — and writers who has started on the platform often perform strongly in the market. That said, the success of local Turkish writers, particular of the types of genre popular on Wattpad (romance and YA in particular) is mercurial: they typically stay on a bestseller list for a few weeks, while international bestsellers can linger for as long as a year. That said, the majority of non-bestselling titles last little more than a month on bookstore shelves, with remaining stock sold off at steep discounts after a year. Generally speaking, fiction does better than nonfiction, and international authors sell better than local ones. John Green, Suzanne Collins, Jeff Kinney, Jojo Moyes, Stephenie Meyer, James Dashner, E.L. James, Stieg Larsson, Dan Brown, Khaled Hosseini, Paula Hawkins and Haruki Murakami have all been bestsellers in Turkey, just as they have been around the world. Ironically, not all global bestselling authors resonate, some, like Jo Nesbo, Jonas Jonasson, and Gillian Flynn could not reach the same popularity which they had in other countries. Others still, like Laurent Gounelle, John Verdon, and the very popular Sarah Jio, have been hits in the Turkish market, but are less known elsewhere. Over the past ten years it is also indisputable that the numbers of Turkish authors reaching a wide readership have increased. Akilah Azra Kohen, Uğur Koşar, Zülfü Livaneli are the bestselling Turkish authors now. Büşra Küçük is the new young Turkish bestseller author who is a Wattpad writer. One of the reasons for Wattpad’s success in Turkey is the fact that many of the readers are children and young adults. Turkey has a young population and, accordingly, the publishing market caters to them — whether that means books about football teams or pop singers. The millennial demographic is as extraordinarily active on social media and actively sharing their opinions online. They are not just book buyers, but active players in the market. The most successful publishers know this and cater to their needs. Because Turkish publishing has gone through so many phases, it lacks an institutional memory that enables the business to easily overcome obstacles. Largely, this comes down to the absence of a deep pool of professionals, or those willing to develop into professionals. By and large, the slightest change in the management or production team of a publisher can derail plans, as there are few established processes and best practices that can be easily passed along to employees. From pre and post-production, to contracts and marketing, the problem is pervasive. This makes the market very fragile and the future of many big publishers are not clear. It is by far the biggest challenge the industry faces. Overcoming this will be difficult in so far as the market is largely combative, rather than collaborative. Publishers invest in the development of their own teams (which they guard with jealousy) rather than the industry as a whole. This jealously extends even to the purchasing of book rights from abroad, as some publishers will buy rights to a book simply to block another publisher from acquiring them, even if that publisher may not be the best fit for the author and they may even have no intention of executing the contract in the short term. This creates a kind of “chaos” in the market and has inflated the price publishers are willing to pay for foreign rights, as they tend to fight to outbid a competitor at auction. 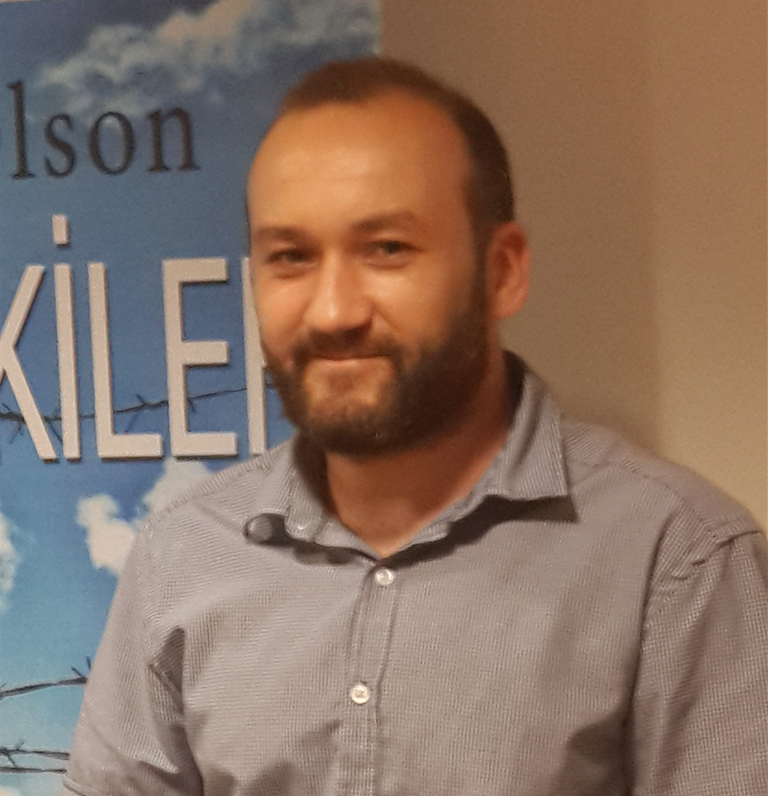 Foreign publishers, on the other hand, often misunderstand the Turkish publishers’ intention, taking the high price paid as an indication of passion or commitment — which, in many instances, may not be the case at all. The inflated rights buys and advances made to local authors have cut severely into publishers profits over the last decade. And this survival mode means that publishers are furthermore reluctant to invest in the improvement and advancement of the industry as a whole. For example, many publishers still lack a proper PR or marketing team — something that might be an obvious way to boost sales — and by extension, there is little attention paid to developing socially consciousness cultural activities, such as green initiatives or gender equality campaigns and the like, that publishers throughout the rest of Europe support. Publishers in Turkey are always vulnerable to changes in state politics and sales of books are affected by the political atmosphere. A negative turn in the political climate can easily push the market to the recession. While this has gotten better in the past decade as the politics have been relatively stable, the market remains so fragile that publishers are reluctant to take more risks. Another threat is piracy, which is a very serious problem for the market. Although there are significant moves to stop pirates, thanks to efforts Turkish Publisher Association, you can still find nearly all the bestsellers for sale in pirate editions on the street, and some estimates suggest that if pirated editions were accounted for, the units sold for given bestsellers would double. As a major move to prevent pirates, the government instituted the “banderol” system, which requires that each book for sale be festooned with a “banderol” issued by the government, a kind of official sticker of approval. Naturally, the pirates have begun printing banderols themselves. What is needed is a strong government campaign encouraging the public to not buy from pirates. What’s there are some publishers who avoid giving royalties to authors, by underreporting the number of books printed and sold. The Turkish Publishers Federation will reveal the total number of titles printed (or at least those that have been issued banderoles), if an authors asks — through a lawyer. But this too becomes tricky, as a legal publisher might use banderoles from a different title and put them into the market. The distributors tolerate this behavior, as higher quantities translate into higher discounts for the distributors — and this is especially appealing if the book is popular. Yes, Turkey may be a desirable market for foreign publishers to enter, but it is also important to go into it with open eyes. In this way, I hope to offer little insight for those looking for opportunities and to help them not stumble into a situation for which they are uninformed and, possibly, unprepared. Özkan Özdem is the editorial executive of Pena Yayınları, Turkey which is a sister company of Psichogios in Greece. He is the English-Turkish translator of more than 10 titles and he has edited more than 100 foreign titles for Turkish market. He has been in the publishing market for ten years. He graduated from Istanbul University, English Literature.